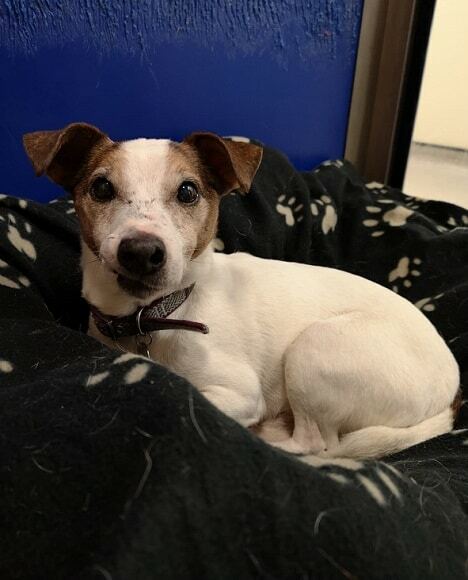 Sprout is an energetic 14-year-old Jack Russell Terrier who is in the care of National Animal Welfare Trust in Hayle, Cornwall, and he needs to be rehomed within Cornwall. Sprout really doesn’t act his age at all – give him a squeaky ball and he will run around with it like a youngster! He does have to be careful not to overdo things though, as he has a heart murmur which is being managed by medication. 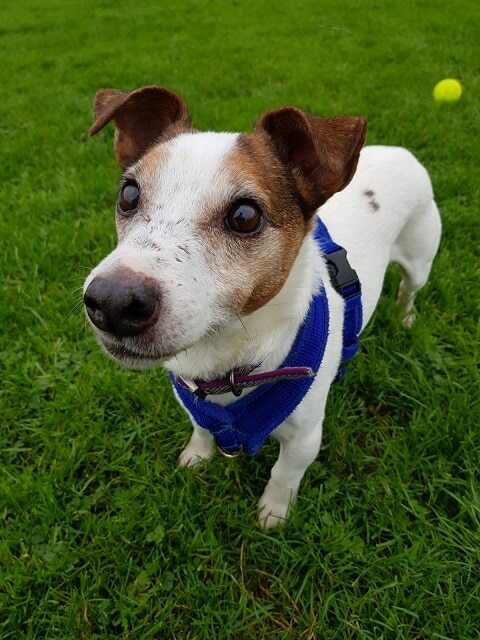 Sprout would love a home where he will have company most of the time, together with plentiful home comforts, and where he will have the usual grooming and general TLC that all dogs need. He’s a typical JRT in that he has a tough-cookie exterior, especially when he’s seeing off other dogs and animals, but he has a really soft centre with humans. Spout promises to be a great companion for his new person or people. He could be left for very short periods when necessary, but if left too long he might protest with a bit of a bark! He needs to be your only pet, as he’s not keen on other dogs or cats, but he could live with children aged over 12 years. Sprout is hoping to find a lovely new home very soon. If you’re a JRT-loving Cornwall dweller, perhaps that home could be with you? Read about Rehoming dogs from NAWT, here. Please mention that you saw Sprout on the Oldies Club website.